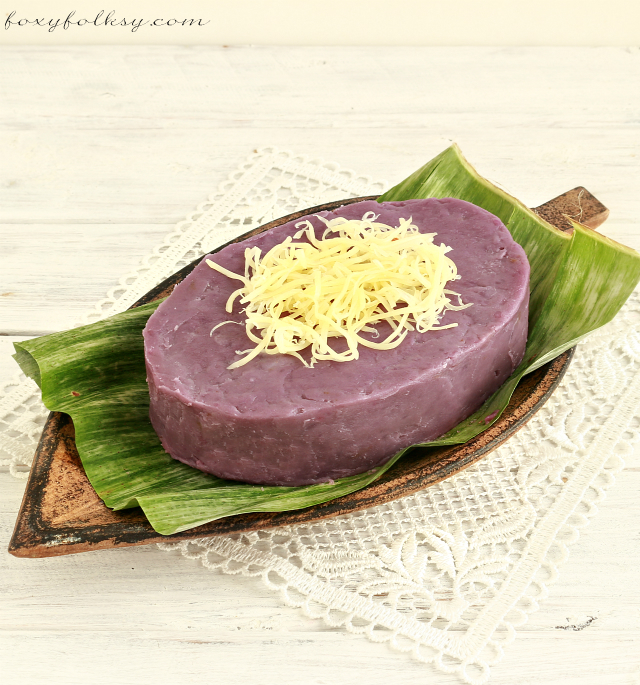 Ube Halaya is a Filipino dessert made from purple yam or “Ube ” as we call it. 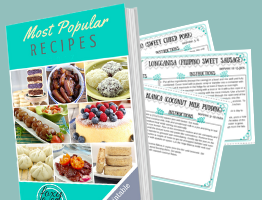 The recipe is actually really simple and so is the process, but I have to warn you though that it requires muscle power and patience…lots of it! Maybe that is why Ube Halaya is usually only served at special occasions because of the time and work it requires, but do not get discouraged because it is worth all the effort and with the new kitchen gadgets nowadays it can be a lot easier. Ube Halaya is usually served cold. 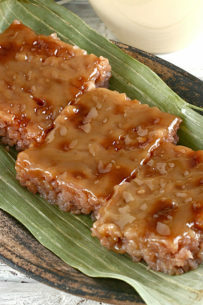 It can be eaten as dessert as it is with or without the usual topping of Latik or grated cheese. But it can also be used for making other desserts like ice cream, cake, filling for hopia and so on. With this Ube Halaya recipe, I used frozen purple yams that I bought in the Asian store. Fresh ones can also be used, of course, and I bet that they will be more flavorful than the frozen ones but fresh purple yams are not often available here in Germany. It turned out surprisingly good anyway and just to be sure, I put it to a test…. I brought some to a Filipina get-together party just last night and I can say that it was a success based on how fast it was gone. 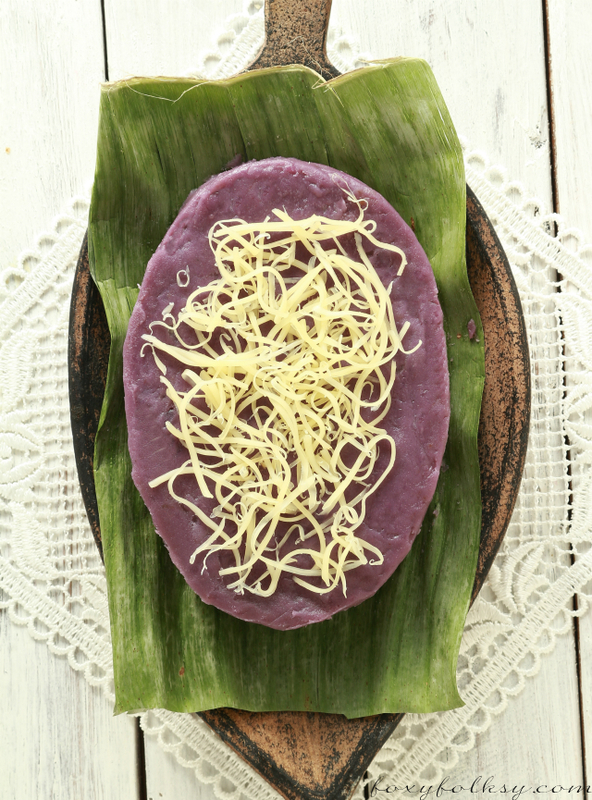 Ube Halaya is a Filipino dessert made from purple yam. This Ube Halaya Recipe uses frozen purple yam and is some trick to have it really smooth and lump-free. Melt the butter in a wide, deep pan over medium heat. Add the grated yam and coconut milk. Bring it to a boil while stirring occasionally. Let it cook for 15 minutes. Transfer the yam mixture in a blender or use a stab mixer to turn it into a fine puree. Return the yam mixture back to the pan and add the remaining ingredients. Turn heat to medium-low and let it simmer while stirring regularly, for another 20-30 minutes or until it turns into a thick, sticky dough and pulls away from the side of the pan when stirring. Grease 2 -3 llanera generously with butter. 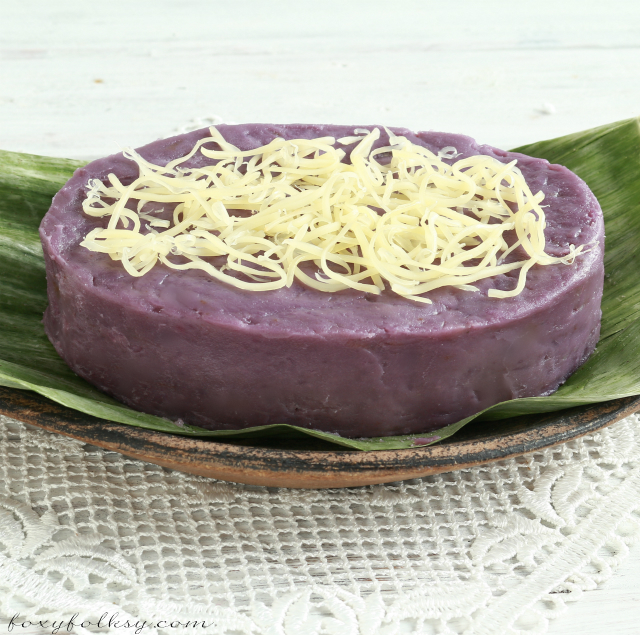 Divide the Ube Halaya into the llanera and let it cool down to room temperature. Cover with plastic wrap and place in the fridge for at least 2 hours before serving. I have baked successfully your recipe, Spanish Bread. And, funny my all-American friend’s blue eyes lit brightly as she found it so good. People here are nuts over anything sweet. 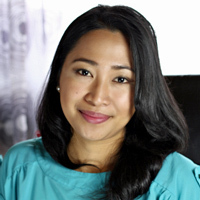 am proposing if you can open an all-Philippine made e-store for hard-to-find native ingredients (i.e. ginamos for Iloilo Batchoy and native kitchen tools i.e. coconut meat’s elastic spatula used by street vendors). I miss these and Amazon is not that worldwide. Luckily, I found a Vietnamese farm importing ube yam from his farm in Hawaii. Pricey but worth it. (Lunok!) Thank you for such a great blogsite. I only used 450 g of yam. I forgot to add condensed milk. Can I still salvage my halaya by adding more raw yam and condensed. Or better make crinkles out of it. It’s sitting inside the fridge for 5 days now. Could i freeze them to extend shelf life. Hi Mary, no need to add more raw yam, as long as you achieved the texture that you like since the liquids would evaporate while cooking. If you find it too bland then you may add condensed milk or even just sugar. But if you like it as is then keep it. Yep. It’s halfway finished. Got compliments from my colleagues even if I didn’t put condensed milk. Could have tasted better with it though. There’s always a next time. I still have 1kg of yam sitting in the freezer. I brought it from Phils to Qatar. It’s our own harvest in Bulacan. Hi Ms. Bebs! I sent a formal letter of request borrowing your leche flan and ube halaya photos through your email and facebook page for our tv program. I am hoping you can see it and hearing an affirmative response from you! Thank you! God bless. Hi Jiamaila, I haven’t tried (or even seen ube in a glass) but I can’t see why not, so ho ahead! ? Made this ube for the first time… love your recipe… it’s delicious and very easy to make. Tweaked it a bit and omitted the granulated sugar ingredient as IMO the condensed milk already has sufficient sweetness content… thanks for sharing your recipe. This recipe is perfect! I tried it for the first time and it was a success and the best. My friends loved it. Thanks for sharing. I just added 1/2 tsp of purple powdered colouring to enhance it’s colour. Thanks for the honest, beautiful and transparent blog! Hello, Bebs! So silly I haven’t left a comment – this is perfectly delicious! Glad that I have found this recipe. Thanks for sharing! Hahaha may I also ask what is Ilanera? 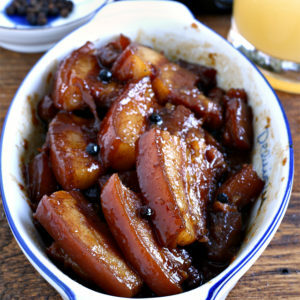 Llanera if the form/container commonly used in the Philippines but you may also put the purple yam jam in jars.. I would like to ask you how many grams does this recipe make up? Unfortunately, I did not weigh it when it was done. Maybe next time. May I also ask how many ml is the Ilanera that you used? Hi Zynn, I cannot measure it since I gave them all away because we are moving back to the Philippines soon and we are disposing of some stuff. Sorry I cannot help. Hi this looks great and I am determined to make it! What kind of cheese did you use for the topping? Hi Donna, in this one I used Gouda. But if you can get hold of Kraft Eden cheese or Velveeta (processed cheese) that is what we normally use in the Philippines. Hi Bebs an estimate should be about at least one kg, right. Hmmm…difficult to say, remember that most of the liquids would have evaporated by the time you are done but yeah maybe more or less a kg. I was afraid this will turn out to be too sweet but it was the perfect sweetness. Next time Ill add some food color. So yummy! I couldn’t stop eating it while I was stirring and pouring into jars! Ha ha! Thanks so much! Hi Diana, I too don’t like it too sweet so the sugar in this recipe was already reduced like most of all the recipes in this blog. I know what you mean by not being able to stop eating this treat, the first time I made it, I think only half made it to the containers hahaha! thanks for the sharing…i love ube halaya or any ube or violet in colour- foood or non food..anyways, thanks for sharing the recipe…putting cooconut milk is nice to taste but there are some who are allergic to it so its still fine even theres no coocnut milk. Tory, about the colour, yo can add ube falvoring Mccormich brancd..its like a vanilla flavour then when it comes to colour , try to add food colouring taht you use in making cakes..not a liquid one, a paste one..hope it will help..
Hi Martha, thanks so much for sharing your knowledge! I truly appreciate it! ? Hi Helen, the coconut milk adds a flavor to it but if you prefer to leave it out, you may do so. Just replace it water. Hi Bebs, I tried to use Purple Yam instead of frozen ube to make this filling for my hopia and it turned out well. Also, because I am diabetic, I didn’t use the condensed milk, instead I used an alternative sugar substitute (stevia). It was a good recipe. I recently discovered and love ube!!! Wanted to try making it and found the purple yams at the store (Asian produce section) and was so excited!! When I got home a couple of them were that gorgeous blue-y purpule color they should be, but others were less vibrant and more of a brownish purple inside. I grated them the night before to save time and placed in fridge (new mom of twins, just trying to take advantage of time when I have it)… but I think this was a mistake. The pretty blue-y color that had been left was all gone by the next morning – perhaps oxidized? My resultant product is this sort of sad mauve color… not exactly a showstopper. Any tips for me to keep the color at its peak? How to pick the best yams at the store… maybe can I treat grated yam with lemon to keep it vibrant? Any tips would be most welcome!! Thanks for sharing, I made this today and it was a success! Yummy! I made this with frozen ube and it was delicious, not too sweet. Also took only approximately 60 minutes and not the hours and hours of stirring. Thanks! 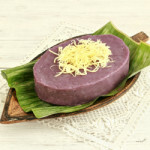 For this ube halaya, can i use the purple yan known here in Canada or US? Because back home in the Philippines, kamote is different from the ube root crop that i buy in the market. I tried using the grated frozen ube but does not taste good. I am planning to buy and use the kamote (purple yam) i see in the grocery here in Edmonton, Alberta but i am not sure if it would be as good as this ube that you made. Thank you for sharing your recipe. I plan to try your Ukoy, ensaymada and this ube. You are right, kamote and ube are not the same. Purple yam is what we know as Ube in the Philippines, Kamote is sweet potato. If they are selling purple yam then that should be the right one. Purple yam is usually darker in color (purple) also inside when cut. I bet the Ube Halaya tastes as good as it looks. Is the frozen grated yam already boiled or is it still raw? Thanks! Hi Eyk..thanks for dropping by! The frozen yam is raw and and I had to grate them myself..